"On July 21, 1961, in the middle of a family vacation, my parents stopped to let me watch Gus Grissom’s historic fifteen-minute mission in Liberty Bell 7, the second manned Project Mercury flight. At thirteen, I was already very excited about space exploration. I could only imagine that someday I might follow in the footsteps of my hero who was born at the opposite end of the state from my northern Indiana home. 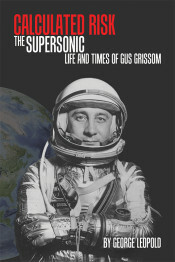 Gus Grissom came from a rural, hardworking background just like me, and my later path mirrored his as I earned mechanical engineering degrees from Purdue University and went on to fly with the US Air Force and then NASA. We both pursued bold dreams. Through grit and determination, Grissom rose from the pastoral Midwest to achieve those dreams, his life ending tragically while Gus was still in his prime. George Leopold’s well-researched and inspiring biography of Grissom details an imperfect man willing to risk his life for a chance to explore the unknown. This book is a must-read for every space enthusiast." George Leopold is a veteran technology journalist and science writer who has covered the nexus between technology and policy for over thirty years. Leopold has written extensively about U.S. manned spaceflight, including the Apollo and space shuttle programs. His work has appeared in the New York Times, the New Scientist, and a variety of other science and technology publications. He resides in Reston, Virginia.